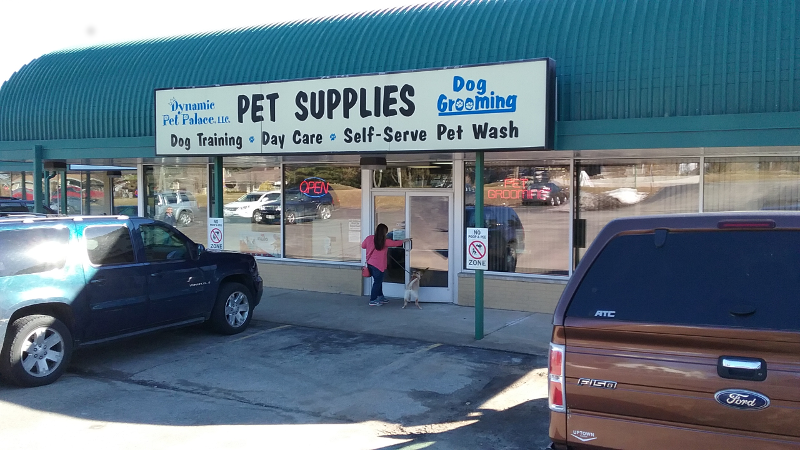 Dog owners in the Hartford, WI area have long known Dynamic Pet Palace as THE place to get high-quality dog food, useful & fun accessories, professional grooming, daycare, and training! Well now it’s time to add Two Paws Up Bakery Treats back to the list of all the ‘good stuff’ at this fantastic shop! Last Friday we had the pleasure of delivering our first order of decorated treats, touring the facility, and visiting with Nancy & Carrie. They are truly focused on providing healthy products for your dog and we fit right in to the mix with their overall philosophy. Unique to Dynamic Pet Palace is that ALL our treats in the display cabinet come from our HypoAllergenic cookie recipe, so you will be assured that while attractive & fun, the treats are also super-healthy for your dog as well! Located at 668 Grand Avenue – we hope you’ll stop in a pick up some treats, say hello, and check out everything they have for your dog!